The mycological community of humans is subject to numerous interactions, for example, among cohabitating fungi, other microbes, their hosts, as well as biotic and abiotic factors the host is exposed to. Yeasts form an important part of this community. While human-colonising yeasts receive high attention as opportunistic pathogens, they are less recognised as commensals. The ecology of the yeast-human relationship bears many open questions. This includes the potential effects of colonising yeasts on humans. Negative effects may be linked to an imbalance of total microbiota, and literature often associated the state of health with high mycological diversity. The mycological communities are less well studied compared to the bacterial components, and a systematic evaluation of the fungal diversity that colonises humans is still difficult. Literature suggests that the same yeast species that are known as frequent opportunists (e.g. Candida albicans) may also play beneficial roles, while dominantly as beneficial recognised yeasts (e.g. Saccharomyces cerevisiae) may turn infective in states of immune impairment. The yet incomplete list of factors that influence yeast diversity in humans includes age, diet, body site, medical treatments, bacterial community composition, and immune status. 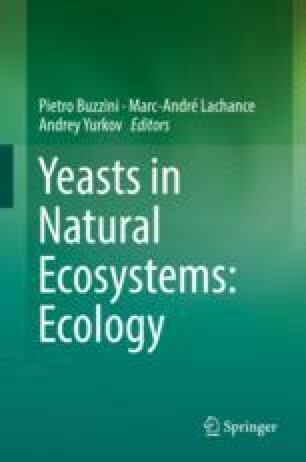 Further studies of this area are hoped to extend the knowledge on healthy yeast diversity and the interactions in which yeasts participate.